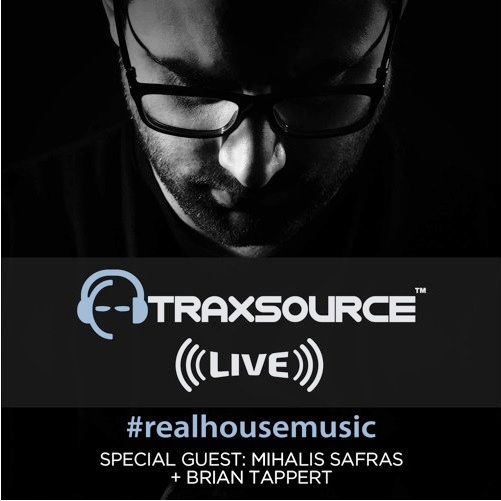 This week we welcome Mihalis Safras to Traxsource LIVE! Percussive Tech House hero from Greece, and boss of Material, Mihalis has released on some huge labels including: Toolroom, Suara, Nurvous and Get Physical. With his Traxsource Exclusive Mantela EP release this week on Lapsus Music, Mihalis brings his signature sound to Traxsource LIVE. Featuring Juliet Sikora, Moonwalk, Volkoder, and Mendo to name a few. Our resident Brian Tappert brings you new and exclusive heat covering the entire spectrum of REAL HOUSE MUSIC. The likes of Supernova, Cristoph, Jimpster, Harry Romero, DJ E-Clyps and many more.